No author in history has more material in print than Charles Spurgeon. During his lifetime, Spurgeon and his writings affected the world far and wide. Today, nearly 120 years after his death, countless people continue to have a passion for this London preacher, and more and more discover him every day. Some of Spurgeon’s most powerful sermons were those that he preached on the topic of Heaven. Up until now, however, very few of these sermons have been accessible to a mass audience. 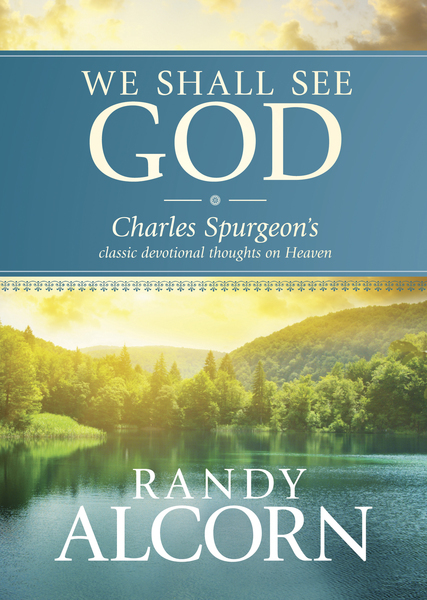 In what is sure to become an instant classic, best-selling author Randy Alcorn has compiled the most profound spiritual insights on the topic of eternity from these sermons and arranged them into an easily-accessible, highly inspirational devotional format complete with his own comments and devotional thoughts. Whether you are familiar with the works of Charles Spurgeon or not, you are in for a treat, as Alcorn invites you to sit at the feet of the Prince of Preachers and discover timeless pearls of wisdom from one of the greatest theological minds of all time.